Aries Chemical can meet all of your wastewater treatment chemical needs for industrial and municipal applications. We offer everything from defoamers and flocculants to inorganic and organic coagulants and filter aids. Our technical specialists can help you improve your treatment process, reduce costs or solve compliance problems. Aries experienced staff can help you navigate the ever more demanding regulatory environment most firms operate in. Through our knowledge of chemicals and equipment we can help you develop innovative solutions to meet your demanding needs. Aries designs and manufactures wastewater treatment equipment. Moreover our Aries Service Group can provide on-site service at your facility for water treatment system start-up, maintenance and operations. Send us a request or call (315) 346-1489 to speak with one of our for technicians regarding all your wastewater needs. Products for coagulation of tough to treat waste streams: Food Processors, Metal Finishers, Chemical Manufacturers, Paper & Pulp Mills, Textile and Electronics Manufacturers. Improved TSS, BOD, Oil & Grease and metals removal. 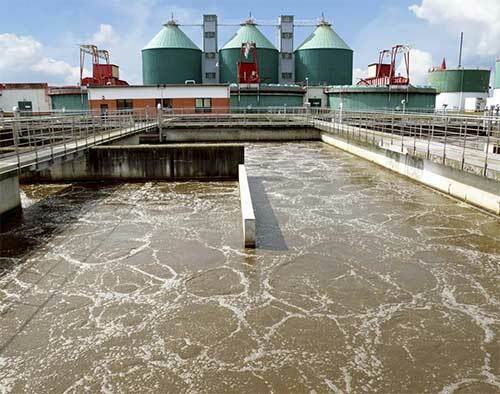 Inorganic, organic and blended coagulants for raw, process and waste water treatment. Aries supplies a broad range of coagulants for process optimization. NSF, FDA and GRAS products available. Liquid and Dry flocculants for raw, process and waste water treatment. Aries flocculants are designed to improve clarification, flotation and solids dewatering. NSF, FDA and GRAS products available. Polymers, flocculants, body feeds and Sahara Process help the dewatering of sludges to achieve highest possible cake solids. Neutralize acids and bases at lowest cost with least solids generation. Aries has a variety of acids and bases for neutralization and alkalinity control. Acids include inorganic and organic acids. Bases include caustic soda, soda ash, lime, magnesium oxide and magnesium hydroxide. Aries Chembreak and Precipmet products provide metals removal to ultra-low ppb concentrations. Aries complete defoamer line eliminates foam from all processes: food processors, pulp & paper, textile, automotive and metal finishers. Food grade defoamers available. Unique products to improve filtration and dewatering rates. DE, Perlite and Cellulose Filter Aids to improve filtration and dewatering rates. Powdered and granular products for removal of highly soluble contaminants including BOD, COD, pesticides, PCBs and colors. A variety of chemicals and systems to control obnoxious odors. Products to control sulfide, sulfur and anaerobic/septic based odors. AriKleen cleaners for all situations including RO and UF. AriKleen product line includes general purpose, degreasers, alkaline, acidic and chlorinated cleaners. Aries offers a variety of oxidizing and reducing agents for applications such as hexavalent chromium reduction and sulfide and chlorine oxidation. Aries Chemical supplies a complete line of inorganic and organic chemicals for water and wastewater treatment. Whatever your water and wastewater treatment needs, Aries can supply you with the proper treatment chemicals and application expertise. Aries’ systematic approach to each unique situation will utilize the latest technology to ensure that your facility remains in compliance at the lowest costs. NSF certification is available for drinking water applications. For more information on our wastewater treatment chemicals such as our line of defoamers, sludge conditioners, coagulants and filter aids, contact us through the form below.